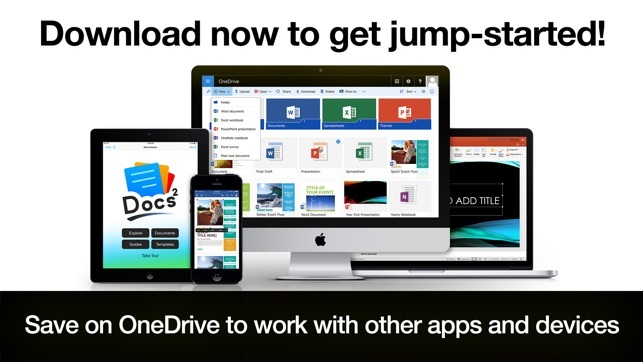 • Quickly create Microsoft Word and OneNote documents, or email with Outlook. 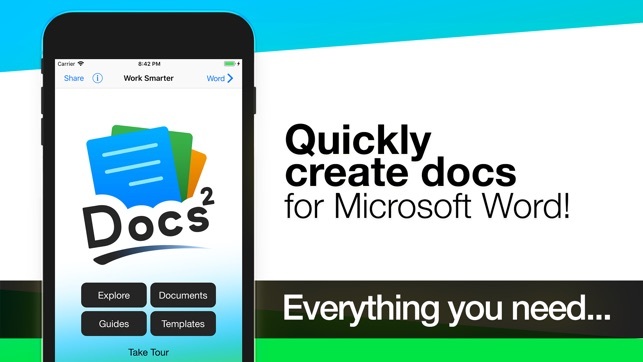 Get Docs² for everything you need to begin quickly creating Microsoft Word docs! 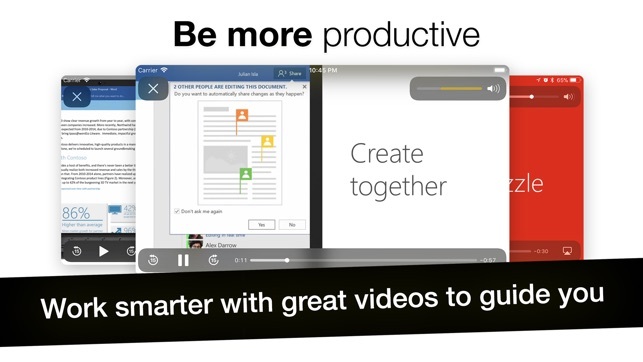 Work smarter with great videos to guide you through the essentials, a convenient document browser to edit online and on the go with your favorite apps, plus free templates to help you create beautiful docs. 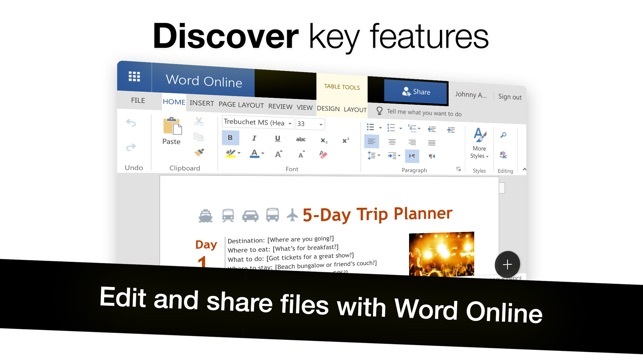 All together in the smartest bundle for Microsoft Word! – Explore the essentials of Microsoft Word with helpful videos & content to guide you. –– Word, Outlook, OneNote & OneDrive. – Create beautiful Word documents. – Save, print, publish and share files. 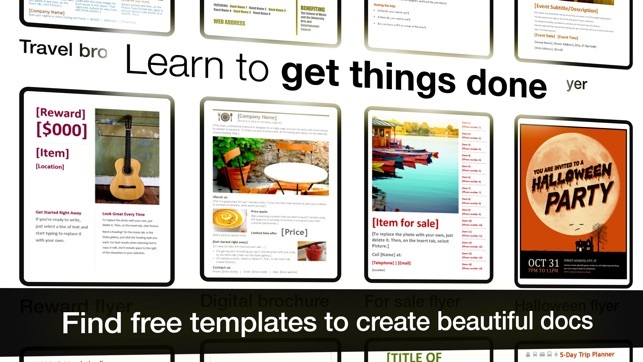 – Add interesting formatting, graphics, and videos. NOTICE: Microsoft Office 365, Word, Outlook, OneNote, and OneDrive are property or trademarks of Microsoft Corporation. Docs² is a property and trademark of Docs Squared, and is neither produced by, endorsed by, nor affiliated with Microsoft Corporation. Access to Microsoft Office functionality and templates is available for free through Microsoft Office Online, or you can work offline with even more features via an Office 365 trial subscription. © 2013-2018 Docs Squared, LLC. All rights reserved. • Designed to feel faster, more fun, and help you get things done! • Secure access to your files with Face ID, Touch ID, or passcode. • Support for the new iPhone X and iPad Pro. – Added support for business and education, in addition to personal users. – Streamlined steps for document editing. – Interface and other enhancements. – Optimized for iOS 11. This app is just what I needed to get some real work done on my IPad. I haven't found a way to keep any of the documents on my device without being connected to the internet yet. Google offers the same thing, but Word is more compatible with the software I use in school. No problems yet (fingers crossed).